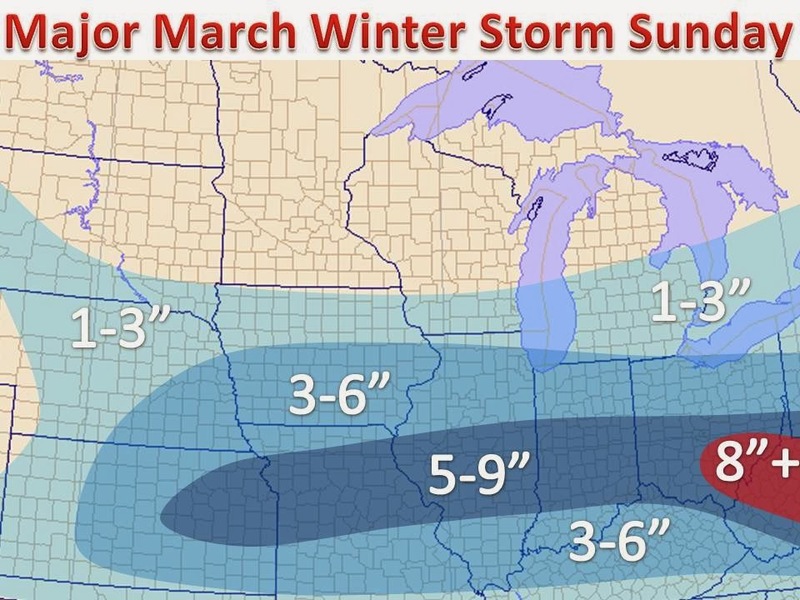 Midwest Winter Weather Blog: Heavy March Snow on the Way, Anyone Surprised? A major snow event is on tap for Sunday into Monday. This system will dump rain, snow and ice from coast to coast and effect the Midwest in a big, snowy way Sunday. With ample moisture from the Gulf of Mexico to overspread an arctic air mass already in place, snow will break out late Saturday night and continue well into Sunday. The heaviest axis of snow will stretch from central Nebraska to the New Jersey area, where up to a foot of snow is possible in areas on the east coast. Points further south will deal with a wintry mix that will limits snow accumulations. On the right is a map of the current NWS watches, warnings and advisories. As you can see this storm will effect more that half of the country over the next few days. 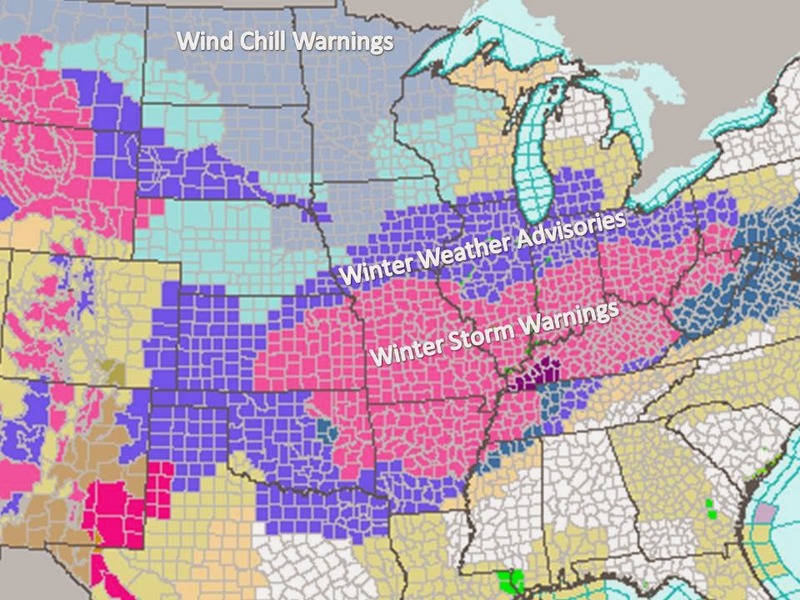 Winter storm warnings currently in place for 21 states on this, the first day of meteorological Spring, with winter storm watches kicking over the warning for the east coast late today or tomorrow. Notice the wind chill warnings in the Northern Plains, as yet another arctic blast is on the way after this system rolls though Sunday night.